Student bullying today is a problem that in some estimations has reached epidemic proportions. Throughout the nation, students are being harassed verbally, physically, and now through the use of computers, cell phones, and other electronic devices (cyberbullying). Increasingly, legislation is being passed at the local, state and federal level requiring schools to adopt specific anti-bullying laws and policies to prevent bullying and protect students. At NPR Inc, we try to provide the best bullying prevention resources for educators. 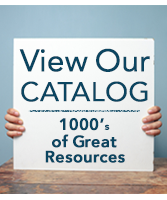 Browse our selection of bullying prevention books, DVDs, laminated guides, and posters below.